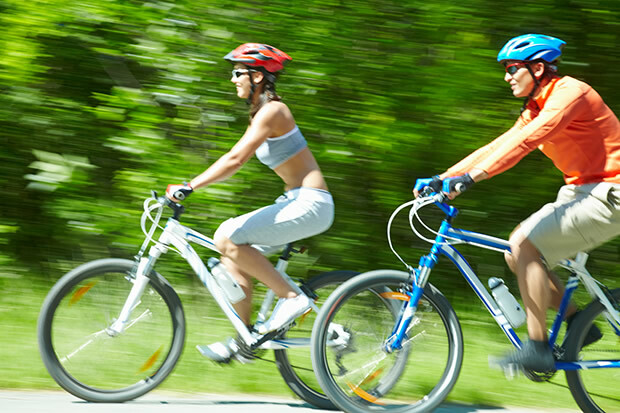 Whether it is to ride through the city or to travel from one city to the next, cycling has become a preferred means of transportation in Thailand among locals and tourist alike. The Tour de France celebrated its 100th anniversary in 2013, and its continued popularity as sporting event that captures the public imagination goes far beyond the world of elite cycling. 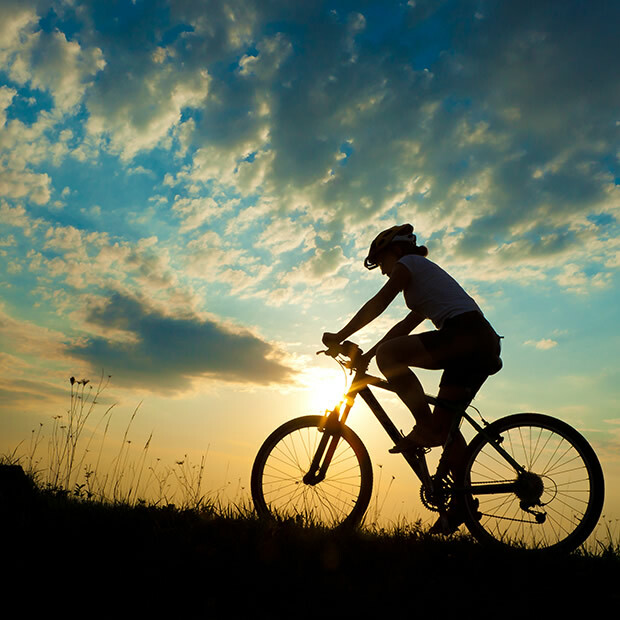 Cycling is becoming increasingly popular in a world where people are increasingly environmentally friendly and health-conscious. According to the National Cycling Charity, while in countries like the U.K. the mileage cycled went up 20 percent in 15 years, from 4 billion kilometers in 1998 to 5 billion kilometers in 2012, Fausto Izquiel, director at Bangkok’s Bike Zone (●www.bikezone.co.th)—a shop that sells top bicycle brands such as Cervélo, Marin, and CEEPO and provides professional bike fitting—assures us this global trend took off Thailand three years ago. With the intention of encouraging the use of bicycles instead of cars, in 2012 Bangkok proudly released the Pun Pun (●www.punpunbikeshare.com) program. Whether bikes are used for short distances or to run quick errands, this alternative method of transportation offers daily bicycle rental at a reasonable rates: the first 15 minutes are free of charge, while one to three hours cost around THB 10, although overnight use is not permitted and comes with a THB 550 fine per day. Initially, there were only two Pun Pun stations, but now more than 50 stations across town offer more than 400 bikes to eco-friendly commuters. To use the service, you should register on the website and collect your smart card, which you will be able to top up, and check your balance, at each station. Another cycling milestone in Thailand took place in September 2013, when Bangkok hosted the biggest cycling get-together to date. On the occasion, around 20,000 participants dressed in white, red, and blue to create a large living flag in the streets of Bangkok. More recently, on December 7 and 8, the coastal district of Hua Hin hosted the 7th edition of one of the most important events of the year: the King’s Cup MTB race and the Queen’s Cup road tour race, which involved a road cycling race and a mountain bike race. And, this February 16, Chiang Mai will be hosting the most exciting and challenging bike race of 2014 with the 7th Annual Conquer Doi Inthanon Ride and the ascension of Thailand’s highest peak (2,565 meters). The range of distances to cover goes from 16 to 50 kilometers, and the race is open to several categories according male/female, age groups, and bicycle type (and tire size). If you are a cycling fan and are looking for a fun family experience or a weekend getaway from Bangkok, you might want to stay at the Phuket Bike Resort (●108 Moo 4, Tambol Thepkasattri, Bangtao Beach, Phuket). Besides providing free bikes for guests to use—and enough space to park your own—the resort offers luxurious and stylish suites inspired by cycling, such as the Bike Studio and the Bike Duplex, fully equipped for short- and long-stay holidays. Travelling on two human-powered wheels will give you an exclusive opportunity to go off the beaten track and meet local people while witnessing sights that most tourists never experience. When you get tired, however, keep in mind it always is very easy to put your bike on a bus or train and cover some stretches while resting for a while. Thailand is safe for traveling by road, but the heat and humidity can be tough for some people to handle, it’s true. Remember to drink water on a frequent basis, and to take a nap in the hot midday hours. Mosquitoes can also turn your cycling vacation into a nightmare, so use insect repellent. Also, do remember that in the middle of the wilderness, you may not come across an ATM, so withdraw sufficient money for the way. Make sure to have a good quality map because away from the tourist trail, signs tend to be written only in Thai. For this same reason, learning a few expressions in the local language could make your trip much easier. ● Pratchuap Kiri Khan to Ao Nang Beach: Ride through beaches and palm trees from the eastern to the western coasts. Enjoy your time cycling in Thailand, and always remember to wear a helmet, as you never know when an elephant could come out of nowhere!